Ecotourism is the useful method of community engagement. All factors related to ecotourism support community livelihoods towards sustainability. The study was conducted with the view to know the possibility of community development through ecotourism in the mangrove areas of Bangladesh. The community participation in ecotourism was assessed significantly with the perception and common interest on natural heritage and environmental conservation and sustainability of the enterprise. The community can contribute and engage themselves by preparing and supplying local foods including organic production and wild foods (aquatic) that enhance the degree of ecotourism through community development. It was elicited that women can work in the prospective enterprise by adding new dimension of handicrafts business using local inputs and forest-based available raw materials. The host communities are the central notion of ecotourism for sustainable development in the study area. The 21st century is the sense of community participation and closely related to the ecotourism development in all parts of the World. It is quite difficult to achieve sustainability of ecotourism without participation of community and sense of community. The community development is possible through ecotourism development. Moreover, tourism linked to a community´s inherent cultural and natural resources which are important in fostering the development of the local communities. The tourism shifts concentration away from the tourist and their experience to the host community and their experience. The process of community development is important for ecotourism development because many local communities have turned to tourism development to provide economic, social, cultural and overall development of the community. Tourism is the sum of the phenomena and links arising from the interaction of tourists, governments, and local communities in the process of attracting and hosting these tourists and other visitors. Ecotourism has been defined as “travel for the discovery and learning about natural environment” (Eagles, 1997). According to the Ecotourism Society, ecotourism defines as “responsible travel to natural areas which conserves the environment and improves the welfare of local people (Western, 1993). The tourism planning effects the community as a whole and the local community exert a powerful influence on the tourist´s experience. The role of Community to the development of Ecotourism can be expressed by the work of Murphy in 1985 which is Community-based Tourism development (CBT). 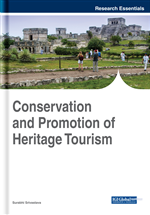 Community-based Tourism development describes the aspects concerning tourism and developing local communities are analyzed, and in a further study by the same author in 2004 (Murphy and Murphy, 2004). Richards and Hall published a research paper analyzing the previous studies on the relationship between the tourism and local community in 2000. This study paved the new lines for other studies related to tourism and local community development. For example, Pro-Poor Tourism (PPT); Community Benefit Tourist Initiatives (CBTIs) which was published by Simpons in 2008; or Community-Based Enterprises (CBEs) by Manyara and Jones, 2007. All these studies provided the strong evidence that the destination community or local community should be included in the tourism planning and management decision-making process. The main concepts are these: the community members should be part of tourist product, local communities should adapt to the external environmental changes easily and these help to open their minds.